By the time the average baby is potty trained, a parent has changed thousands of diapers. Thousands! Some estimates range from around 3,000 to 4,500 diapers by a child's 2nd birthday, but no matter how you look at it, that's a lot of diaper changes. Multiply that by three kids and I guess that makes me a diaper changing wizard, of sorts. I've seen my fair share of soggy bums, messy blowouts, and rashes like you wouldn't believe! I've learned a thing or two about clearing up the worst of diaper rashes, and even some great methods to prevent and stay on top of it that I'd love to share with the rest of my mom friends out there. Change your baby often. This seems simple enough, right? Change your baby when he or she is first wet. Got it. When your baby is a newborn, she's probably going to let you know she's wet by crying, but as your baby gets older, she might not cry or protest as much. With three kids, I hate to admit that sometimes I'm guilty of letting Harper sit in a wet diaper a little longer than usual. It happens. I'll be making dinner or she'll be playing too nicely to interrupt her and she'll end up soaked, which can then lead to a nasty little rash on her tush. Prolonged exposure to urine or poop can irritate your baby's delicate skin, so change often. Check your wipes. Often times wipes can be loaded with tons of fragrances and chemicals, which can also irritate your baby's skin, so opt for ones marked fragrance-free or sensitive, or try using cloth wipes. If your baby already has a rash and you have to wipe, make sure to be extra gentle, but be thorough in wiping too so as to not leave any yucky stuff behind and further irritate the area. 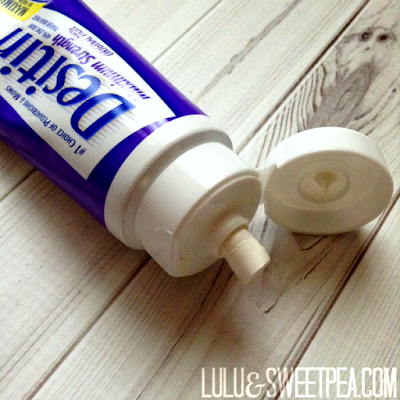 Use DESITIN. 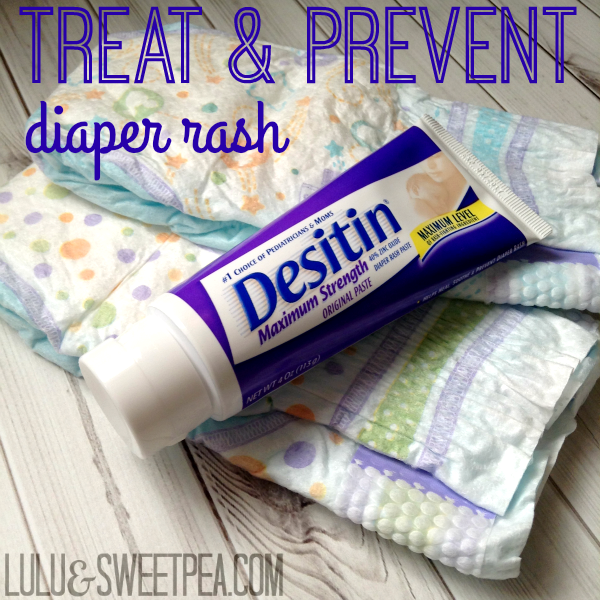 I recommend using DESITIN not only when your baby has a diaper rash, but as a way to prevent diaper rash before it even happens. Applying a thick layer of DESITIN (especially at night) creates a protective barrier, preventing wetness and and irritants from reaching the skin underneath. It also helps create a more optimal environment to allow the skin to heal, and contains zinc oxide to heal and soothe any existing diaper rash. Air it out. I've seen a few rashes that were really hard to heal and that just lingered for days. One thing that really helped? Letting their little bum air out. No really- strip your baby down naked, wipe off any DESITIN you may have already applied, spread out a blanket (and maybe a towel for any accidents), and let your baby have some naked play time while their little bum dries out. Harper loved it! This is a great opportunity for some tummy time, too. Just 10 or 15 minutes once or twice a day makes a huge difference. Be consistent. Sometimes it takes a while for a rash to go away, so staying on top of it is crucial in getting it to fully heal. Be consistent with cleaning the area, changing often, airing it out, and applying DESITIN. If you've got a really bad rash, I highly recommend the Maximum Strength DESITIN, which is the only leading brand that contains the maximum level of zinc oxide. It's the strongest diaper rash treatment without a prescription and always works really quickly for my kiddos. 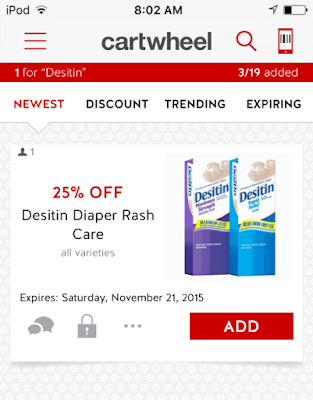 If you need an excuse to go to Target, here's another: snag this 25% off DESITIN coupon on Target's Cartwheel app now through November 21st. This is a great deal and the perfect opportunity to stock up on DESITIN! If you've never used Cartwheel you're missing out- there are so many amazing deals, and you all know how much I love Target. It's my happy place. 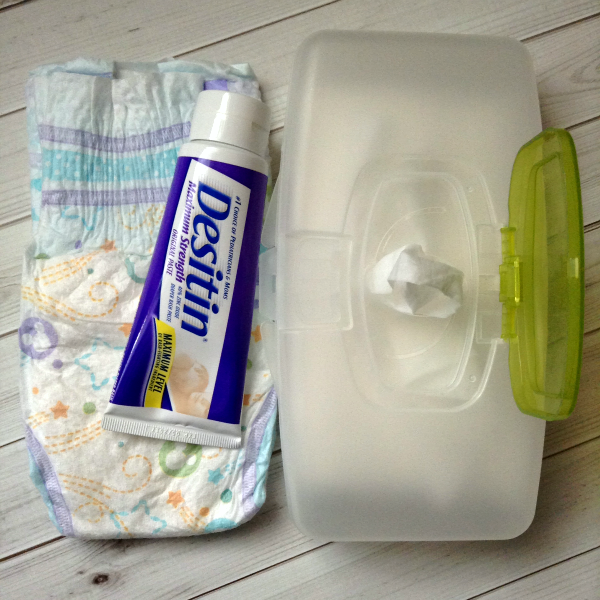 What's your best diaper changing tip or advice?